The 9:15 AM Sunday Family Mass or the 6:00 PM Sunday Life Teen Mass is for those who enjoy contemporary music with piano, guitars, and drums. The 9:15 AM is children-friendly and can be a bit noisy. 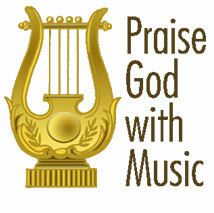 It encourages children to be part of the worshiping community. But if it is peace and quiet you are seeking, this is not the Mass to attend. The 11:00 AM Sunday Mass offers traditional music with an organist and cantor. Hymns for the congregation are taken from the in-pew Worship book. The Saturday afternoon Vigil Mass and the 8:00 AM Sunday Masses involve an organist and cantor and the music comes from the in-pew Breaking Bread book. The music tends to be more contemporary. The St. Jerome REACH Singers play and sing at the 9:15 AM Sunday Children’s Mass and the 6:00 PM Sunday Life Teen Mass. The REACH Singers employ contemporary music and play piano, guitars, tambourine, and drums. In 2004 members of the St. Jerome REACH singers formed the Second Wind Band, a rock, blues, and ballad band. Over the next five years the band grew to include eleven full time members: Ian Chin-keyboards, vocals, musical director; Nick Pitasi-guitar, vocals; Bramwell (Woody) Wood-bass, vocals; Ike Halsey-guitar, vocals; Vito Gasparro-drums, vocals; Judd Mellott-percussion, vocals; Maggie Mellott-vocals; Deanne Wood-vocals; Daniela O’Callaghan-vocals; Joan McFarland-vocals; and Richie Riscica-sound. Be sure to visit their web site at www.secondwind.us to hear a sampling of their rockin’ musical selections. The REACH Singers welcome new adult and teen members at any time. Membership in the both groups includes singers at various levels of experience, and, for the REACH Singers, musicians for guitar and drums. You are most welcome to visit and sit in on a rehearsal to see and hear the REACH Singers in practice. Perhaps there is someone you can encourage to be in the REACH Singers. Feel free to contact the REACH Singers Music Director, Joan McFarland, — contact information below — if you have any questions or to arrange receiving more information. 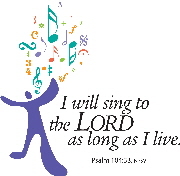 Rehearsals for the REACH Singers are in church on Thursdays, starting at 7:30 PM. The St. Jerome Parish Choir. From 1992 to 2012 at the 11:00 AM Sunday Mass, the St. Jerome Parish Choir, directed by Organist Donald Nelson, sang traditional hymns as well as classical Latin and English set-pieces accompanied by organ, with occasional cellist arrangements.